No one ever throws a cookbook away, so your audience will keep your company name and logo indefinitely. 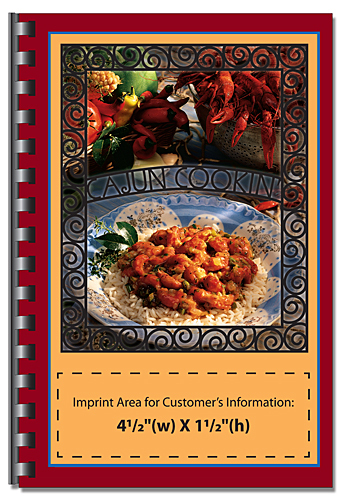 Cajun Cookin'' will spice up any promotion. Recipes with a spicy blend of French and Spanish seasonings and a sprinkling of other cultural favorites create an exciting taste and aroma in this unique cookbook.